on the setting concrete just outside his building. Why did Mr. P vandalise work that he ordered contractors to do? 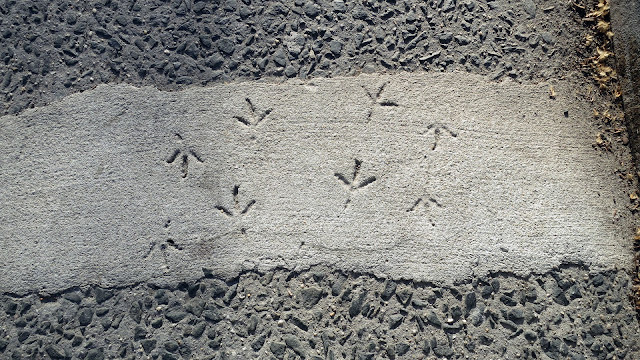 allowing a pigeon to walk back and forth, leaving foot-prints behind forever. Mr. P won his Small Claims Court hearing. In a very peculiar and mostly pathetic way, Mr. Parfenix might just be a Master-Mind. Poppycock I say! What a load of malarkey. Prove it. Poppycock is a good name for you. Parfenix Poppycock the Third. Those prints look like dance moves!